SKU: N/A. Categories: Artwork/Posters, Home Specialties/Auto. 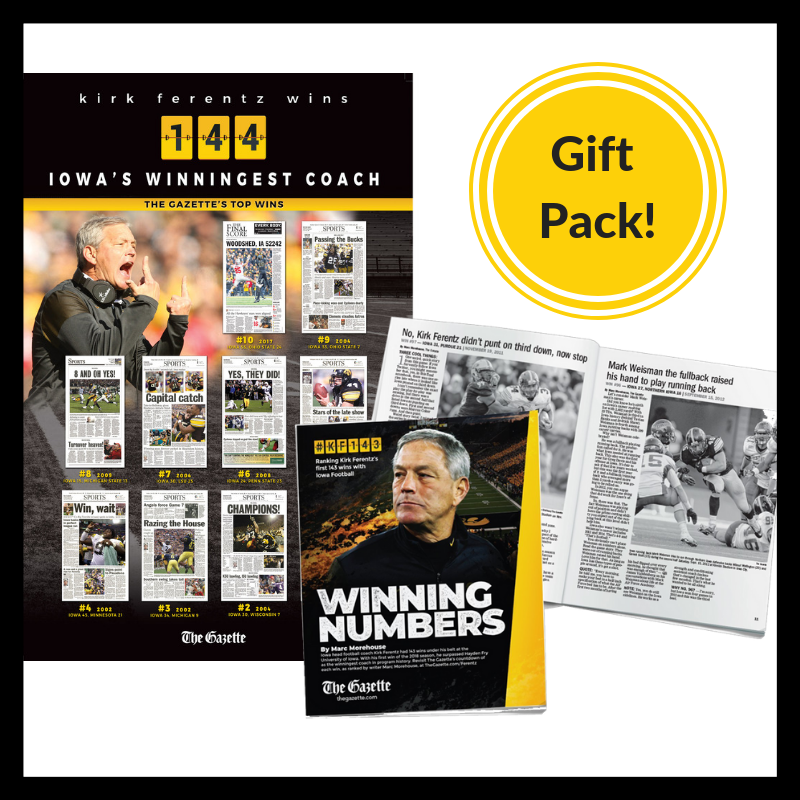 Looking for the perfect gift for your Hawkeye fan? 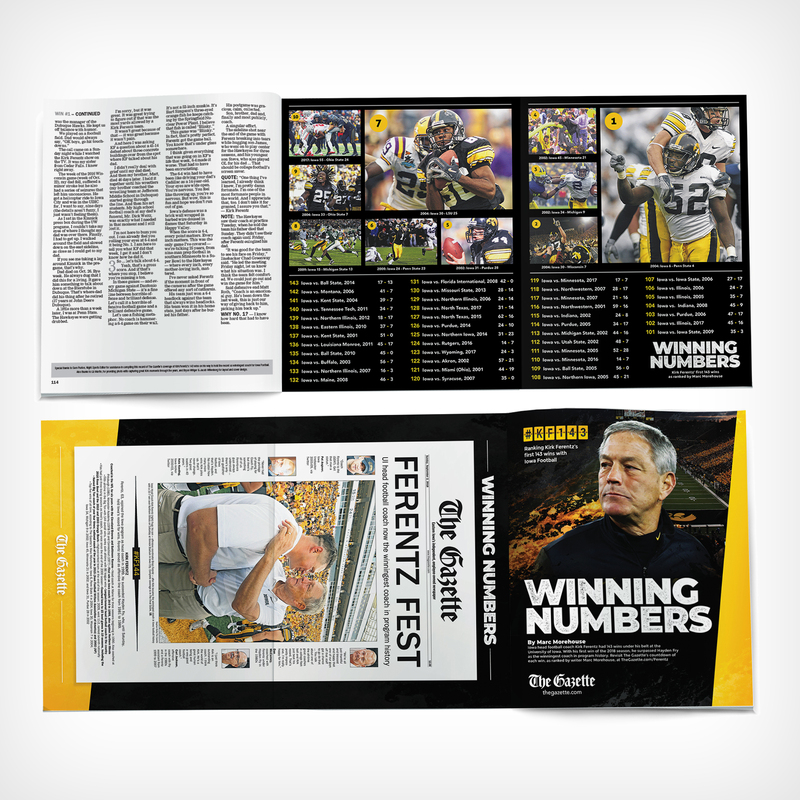 Check out Kirk Ferentz special edition poster and booklet highlighting Coach Ferentz's victories as a Hawkeye Head Coach. 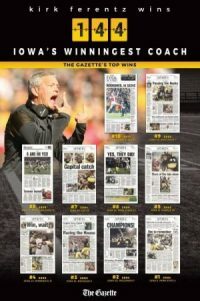 The poster comes in either 11×17 or 24×36 sizes highlighting the top 10 wins during the Kirk Ferentz era as ranked by The Gazette's Marc Morehouse. 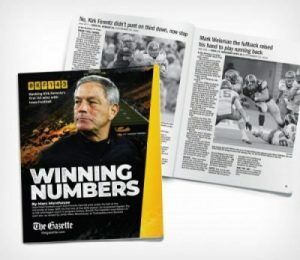 The Winning Numbers booklet highlights each victory from the Coach Ferentz era paying tribute to past players including Gazette articles and photos from September 1st, 2018 going back to 1999. 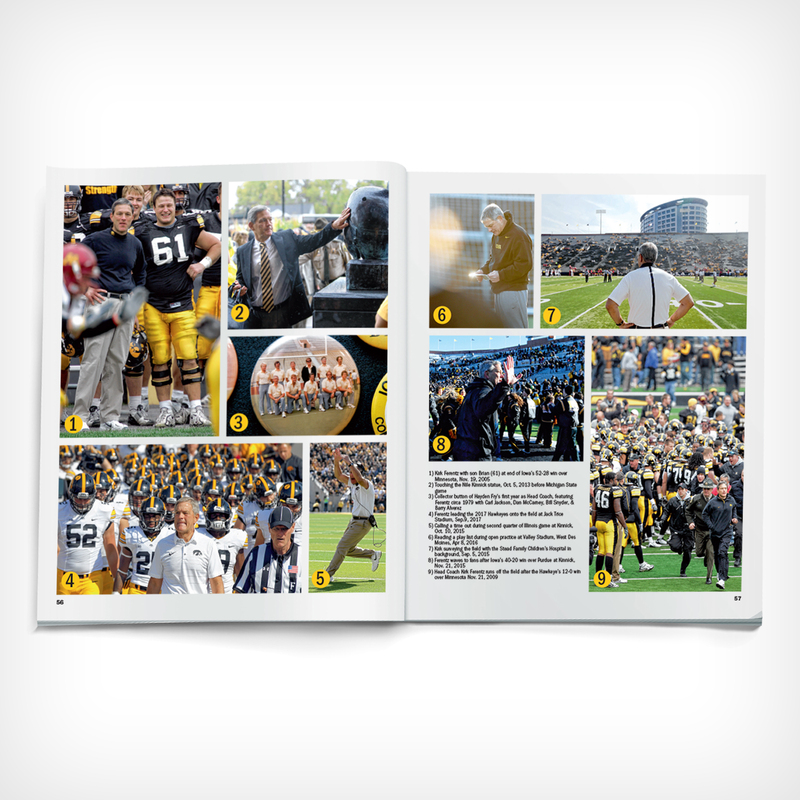 Written by Marc Morehouse during summer 2018, this makes great reading material for any loyal Hawkeye fan. © 2019 Bravo Sports Marketing. All Rights Reserved.